not much to report other than that his third feeding was successful, and that he seems quite curious and active outside the enclosure! He’s looking great, and I really dig the artist names for him and your user name. Caravaggio is one of my all time favorite painters. On the snake bathroom usage topic... what substrate do you have him on? He’s so small that his poops and urates could easily be hidden if you are using anything remotely natural looking as bedding. Thank you!! Lovely to meet a fellow art enthusiast I'm just mostly very uncreative with naming, so I picked an easy theme and stuck with it, haha (my also-recently acquired cat is Caspar after Caspar David Friedrich). You're right, I'm currently using cypress mulch, and I did wonder how I'm supposed to find poop and such in there. I've been trying my best to look for any bathroom activity but I could easily have missed something. So would you recommend switching to paper towel or newspaper until he puts on more size? Also, does poop/pee smell very much at this size? I thought I'd be able to tell if there was any bathroom activity by smell but I'm not sure about that any more either. I might have found a poop a few days after I got him (3 weeks ago) - there was a little brown thing that I thought smelled funny so I took it out but honestly I'm not sure. Last edited by caravaggiooo; 07-21-2018 at 10:52 PM. Very handsome critter. Great first snake too. 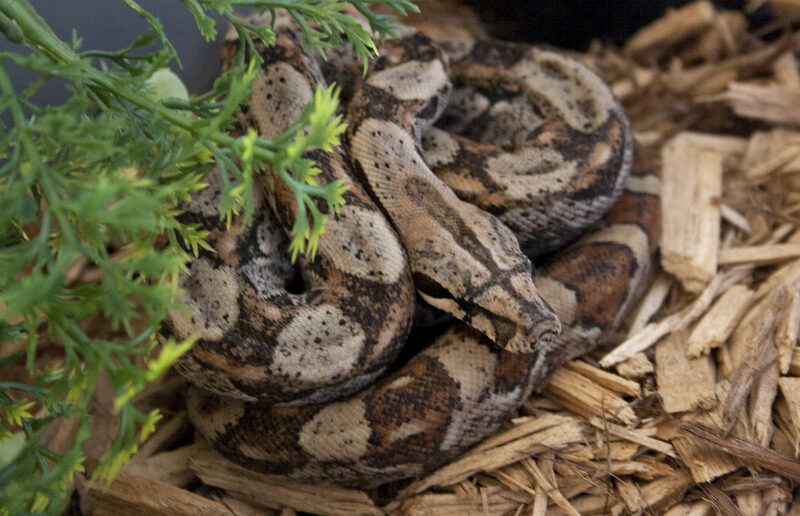 Boas have been making a very positive impression on me lately. Last edited by EL-Ziggy; 07-21-2018 at 11:10 PM. Thank you I've been a bit shy about posting outside this thread but I've been admiring your incoming boa from afar, congrats on that! I'm surprised smaller boas aren't recommended more often as beginner snakes, I know it's been only a few weeks, but so far Remby's been a breeze, at least feeding and handling-wise. Thanks for your input! I think I'll give paper towel a try when I do his monthly clean, which is coming up soon. A couple random pics - until I get a better camera I think I'll give up on getting shots outside the enclosure, this guy is such a wiggly little noodle. Last edited by richardhind1972; 07-25-2018 at 02:40 AM.